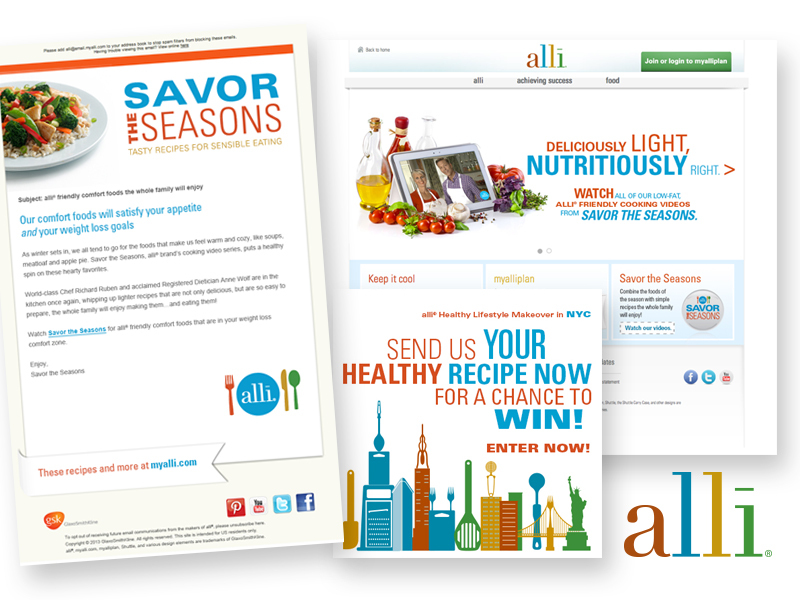 The allī branded weight loss program was losing recognition in the marketplace. A fresh, new campaign was developed to promote awareness, proper product use and health benefits of the program. 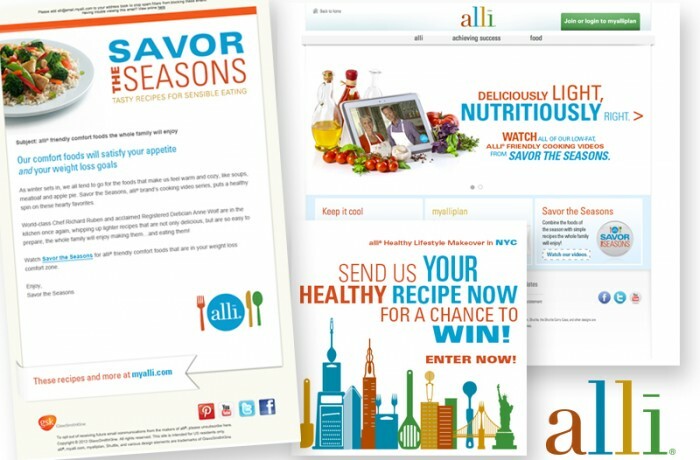 A series of low-fat cooking videos, email campaigns, contests and a big social media presence helped allī re-establish its presence.